Eating at Soi No. 9 and anticipating New Wing Order. Mai Mitrakul and Teerasak "Tim" Vimonnimit wanted to open their own restaurant, but a good space proved elusive and the cost prohibitive. 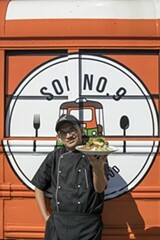 So they did what many have done before them and started a food truck: Soi No. 9, which sells Thai street food. "Soi" means street, explains Mai. "Nine, pronounced Gao, happens to be the number of our late and beloved King Rama and is the Thai word for 'going forward'." Go forward they did in a great bright-orange converted school bus. They've kept the menu small, the better to concentrate on the dishes "we do really good," says Mai. The rice bowls include Khao Mun Gai, steamed chicken with fresh ginger, garlic, soy over ginger rice and cucumbers. You can opt for fried chicken or tofu in this dish. The Basil Chicken features stir-fried ground chicken with garlic, chilies and Thai basil served over jasmine rice and a fried egg. 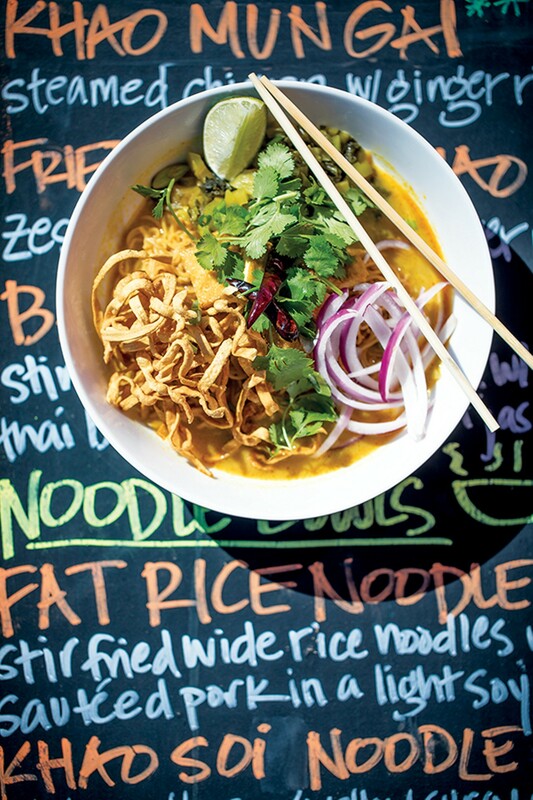 Among the noodle dishes are the Fat Rice Noodles with seasonal vegetables and mushroom soy sauce and pork or tofu and the Khao Soi Noodles, a curry soup with pickled mustard greens, onions, and lime. Sides include some excellent vegetable spring rolls and potstickers. The menu extends to very sweet/bitter Iced Thai tea and Iced Thai coffee and coconut Thai Sticky Rice with fruit for dessert. Tim studied at the Wahndee Culinary Academy in Bangkok. Both he and Mai came to the United States in the early 2000s. Together, they are raising their 3-year-old daughter. 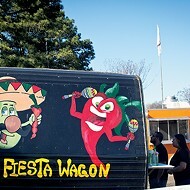 Having a food truck, which they operate three or four days a week for three or four hours a day suits their family. Tim says that Soi No. 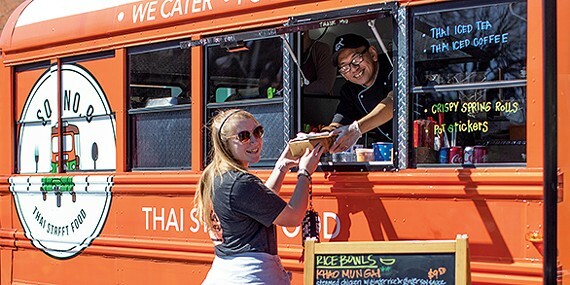 9 is the only Thai food truck in town. They also strive to be eco-friendly. "We are Soi 9, representing authentic food loved by pauper to prince, from our Soi to your street!" says Mai. You can generally catch Soi No. 9 at Court Square on Thursdays and in front of UT Medical on Madison on Mondays and Tuesdays. 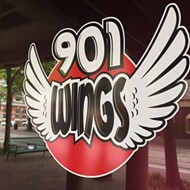 New Wing Order, Cole Forrest and Jesse McDonald's team, scored first at the Memphis Hot Wings Festival in 2015 and 2017. Their winning wing was a hybrid of Buffalo and barbecue. They worked on it for a year, asking their friends for feedback. All they heard was praise. 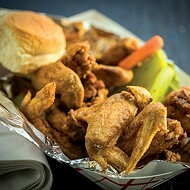 Of course, the Memphis Buffalo is on the menu of New Wing Order's new food truck, set to launch in September. You can get that in sandwich form (fried chicken with pepper jack cheese served with ranch) or via sauce for your hot wings. Forrest says the truck is "real-time market testing." They plan to have the truck at Court Square, St. Jude, in the medical district, and the Food Truck Park on Winchester. But let's get back to that menu. There's not only barbecue nachos topped with queso and an Alabama white barbecue sauce (!) but also hot wing nachos. The hot wing nachos use the boneless wings, of course. And the truck will serve both. Forrest calls himself a purist, one who likes the boned wing and points out that the boneless wing is not a wing at all but the chicken breast. 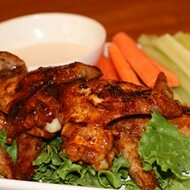 Six piece traditional (boned) wings go for $7, boneless $6. That goes up to 18-piece for $17 and $14. A hot wing combo (four traditional, six boneless) with fries and a drink will set you back $10. Among the sauces are the Memphis Buffalo, Tennessee Teriyaki, Lynchburg Fire, and Cajun Honey Hot. Barbecue sauces are mild, hot, chipotle honey, and Alabama white, Buffalo sauces are classic, hot, and inferno. There are seasonings as well: Backyard BBQ, lemon pepper, garlic parmesan, and ragin' Cajun. New Wing Order will also serve tacos: Buffalo chicken taco, pork verde taco, and, for the vegans, an avocado taco, with either fried or raw avocado and bang bang sauce. McDonald is "all about the cooking, experimenting with flavors," says Forrest. "My job is to get the word out." 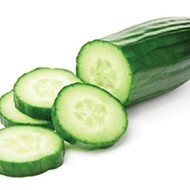 The wonders of the cucumber. 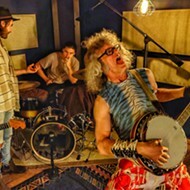 Drew Erwin opens downtown studio. Plus party news.